It’s not every day you cross paths with someone that’s been given a prestigious award, let alone someone who has been bestowed an award by the United States Congress. For Ameriflight DFW Senior Network IT Engineer, Zekky Mendoza, he didn’t have to look very far. 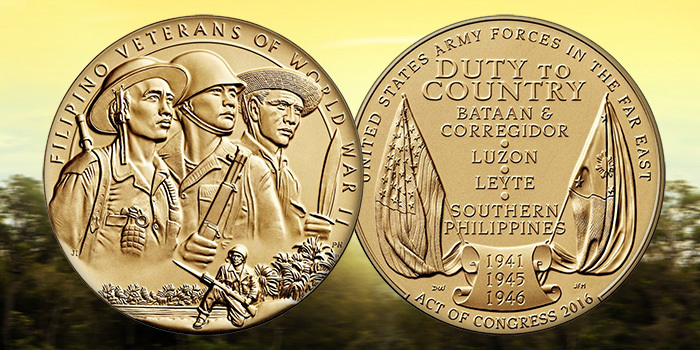 Zekky’s father, Ernesto Mendoza, was awarded the Congressional Gold Medal in early May. That award, along with the Presidential Medal of Freedom, is the highest civilian award in the United States. The award comes nearly 75 years after more than a quarter of a million Filipinos and Filipino Americans fought in World War II, some paying the ultimate sacrifice. Thanks to The Filipino Veterans Recognition and Education Project, an all-volunteer initiative began in 2014 that lobbied Congress to award and honor those soldiers. Among them was 98-year-old Ernesto Mendoza. 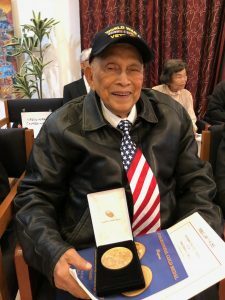 Ernesto was born in 1920 and served in the Air Force (USAFFE – United States Army Forces in the Far East) for five years. “He was among one of the many that was called into service following the bombing of Pearl Harbor,” said Zekky. The award was given to not only honor but to also recognize the dedicated service of the veterans. “I am so proud to be his son not just because of this merit but because of the kind of person he is. I have learned so much from him – love, patience, how to work hard, think on my feet, it’s almost impossible to try to think about it all without being overwhelmed. Much of what I’m grateful for and what I’ve learned from my Dad becomes his living legacy. His values are alive in me,” said Zekky. 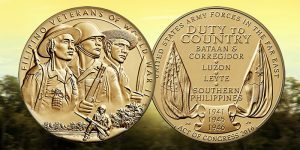 “Between 1934 and 1946, the year the Philippines gained independence, the U.S maintained the right to summon Filipinos to serve under the U.S. Armed Forces. On July 26, 1941, President Franklin D. Roosevelt called into service all “organized military forces” of the former U.S colony. Among them were the Philippine Commonwealth Army; the Philippine Scouts, and recognized Guerrilla units, which helped provide intelligence to Allied forces to repel the Japanese. But despite their service, these veterans, who were U.S nationals, were disqualified from receiving the same rights, benefits, and privileges as others who served under the U.S. Armed Forces, the result of the Rescissions Act of 1946.